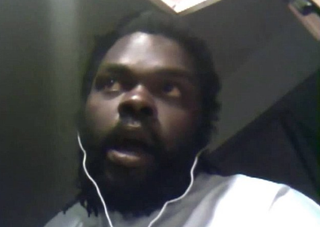 Kevin Moore recorded video on April 12 of Freddie Gray being dragged into a police van by three Baltimore officers. Gray would die a week later from injuries sustained while in police custody. Since then, the video has gone viral and Baltimore has been set aflame by protesters demanding an explanation of what happened to the 25-year-old once he was put inside the van. Moore also believes that he has been a target of the Baltimore police since releasing the video. Gray told the Baltimore Sun in a story that ran April 25 that he'd already spoken to the police about what he recorded and what he witnessed, and yet, he claims, police released his photo to the evening news as a person of interest in the investigation. "What is so important that you have to plaster my picture over the Internet? I've already spoken," Moore told the Sun. "How do you not know that picture is me?" According to Moore, the release of his image was unnecessary and was done only to harass him. "That's me—I know that's all 6-5 and 260 pounds of me," Moore said. "For the police to post that picture and say you don't know who I am, that's B.S. You know who I am." On April 30, Moore was riding around Baltimore with two members of "Cop Watch, a community dedicated to filming and documenting police work," according to The Independent, and Moore and two members of the organization were reportedly arrested. There have been no explanations for why he was arrested and later released, but the two members of Cop Watch are reportedly still in prison, according to the Daily Mail. Shortly after Freddie Gray's arrest, he spoke with Photography Is Not a Crime. Hear what he had to say below.